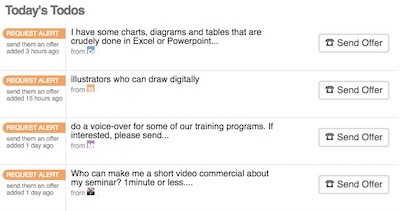 How to Sell in 199Jobs: Offer Your Services—Post the "job"
, or Sign Up to create an account quick and easy. If you already have an account, just Log In here. 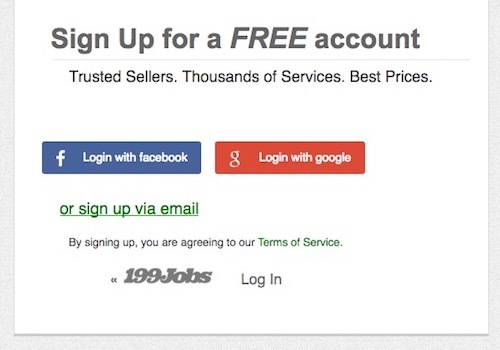 At 199Jobs, a “job” is the service you’ll sell. It’s what you will do to earn money here. To create a job, just click Sell Your Services at the footer of the page. Read here to learn what jobs you can offer. After completing the job details, double check everything and then click the Post The Job! button and you’re now a true blue Seller! Check your Todos everyday to see which Buyers need your special skills. Reply to them and offer your jobs. 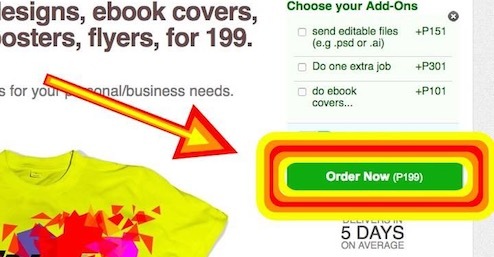 TIP: Read our guide where we show you How To Turn Requests into Orders! Seal the deal by asking the Buyer to visit your job to click the Order Now button. You can start the work once you’ve received the Order from the seller. You can check this by going to My Account > My Sales. 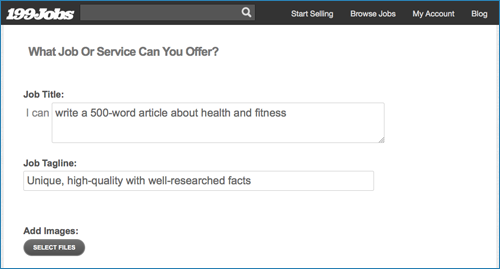 TIP: If you’d like to offer a custom job, send a link to the job + custom add-on for the job to the buyer. Click here to learn how. IMPT: Only start work once you’ve received the order so we can secure your payment! 💰 Step 6: Do the work and get paid! All you need to do now is do your best work, update the Buyer with your progress via the order chat (very important! ), and deliver on time! When you’re done, attach your work in the order chat and click Mark as Delivered in the menu at the top the chat. The buyer, in turn, will click Mark as Completed to show they’ve accepted your work. Then cashout your earnings after you get the required amount and get even more orders! PS: Don’t forget to ask for Feedback from Buyers! 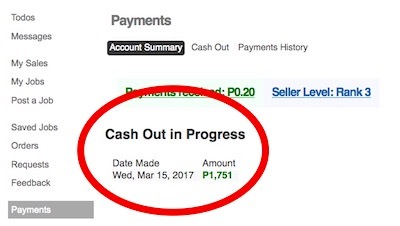 Start Earning & Post A Job! Got questions? Here are our answers, just for you!